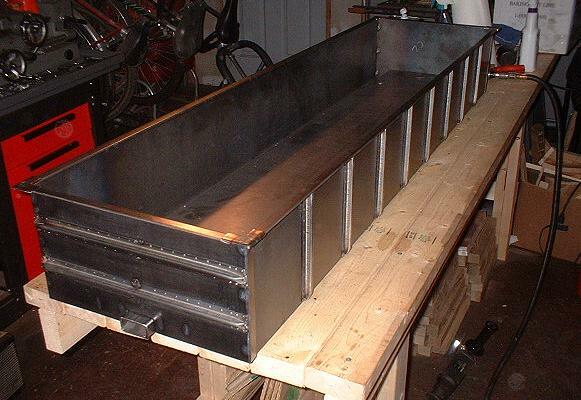 This is a standard "Tom Bee" 5 foot gondola. Prototype length is 40 feet. The ribs on the car sides and ends do not come with the car. They are attached later by the user. 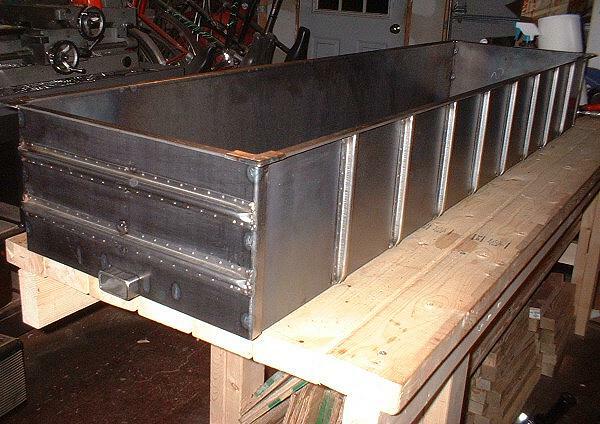 Here we have "stick" welded the ribs on. 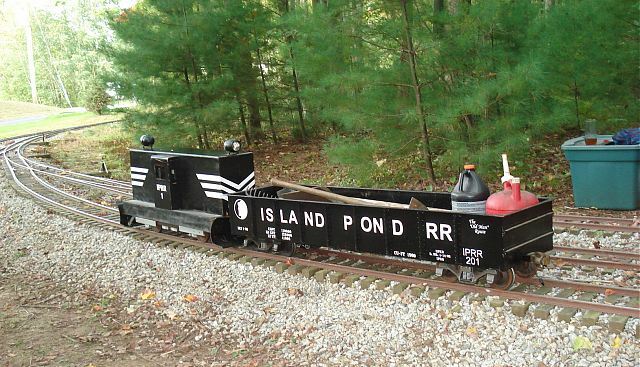 After painting and lettering for the Island Pond Railroad. Thanks to "The Doug" for his efforts with the vinyl lettering. Although it is a miracle we got all the lettering on without losing anything, these decals did NOT come from Miracle Railroad Products. 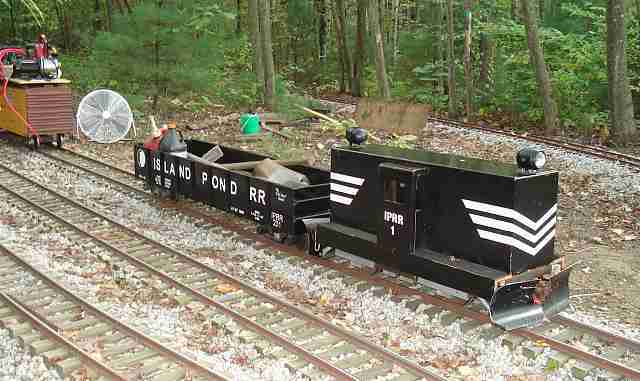 The gondola is a valuable part of our "Maintenance of Way" or "Work" train. 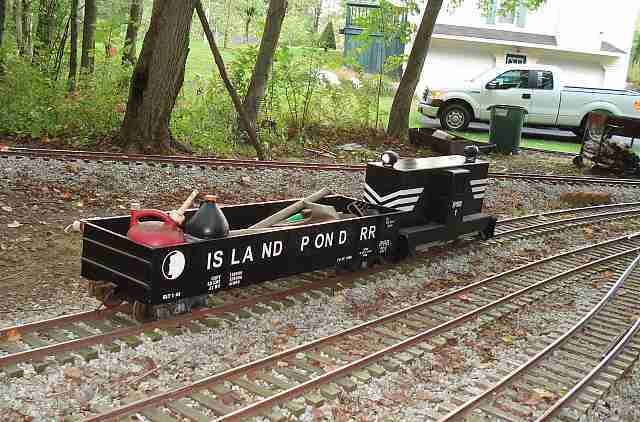 It is one of our tool cars. (Vinyl came from "Words Anywhere" dot com).